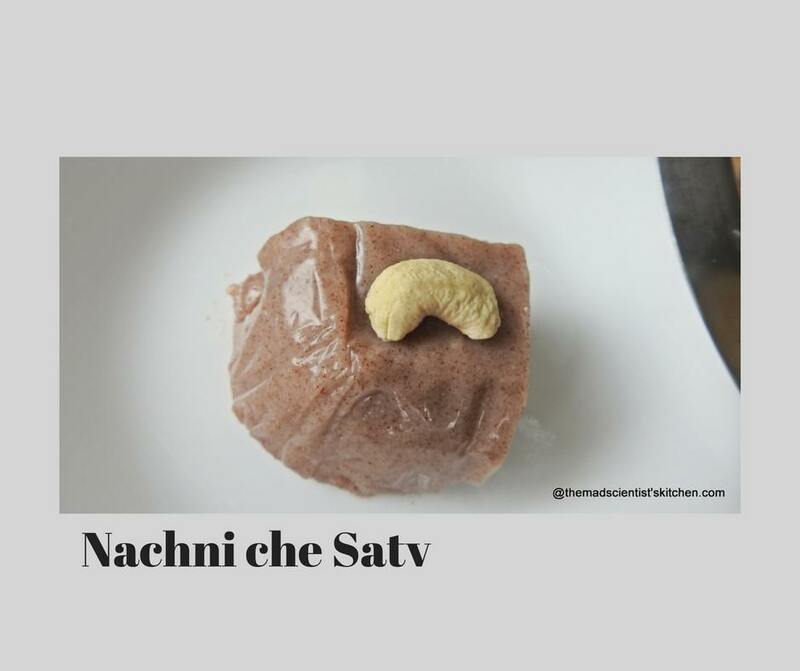 Nachani Satv is a delicious and healthy Goan sweet that is relished as pudding. 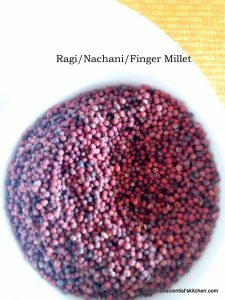 In case you are wondering Nachani is finger millet, ragi. 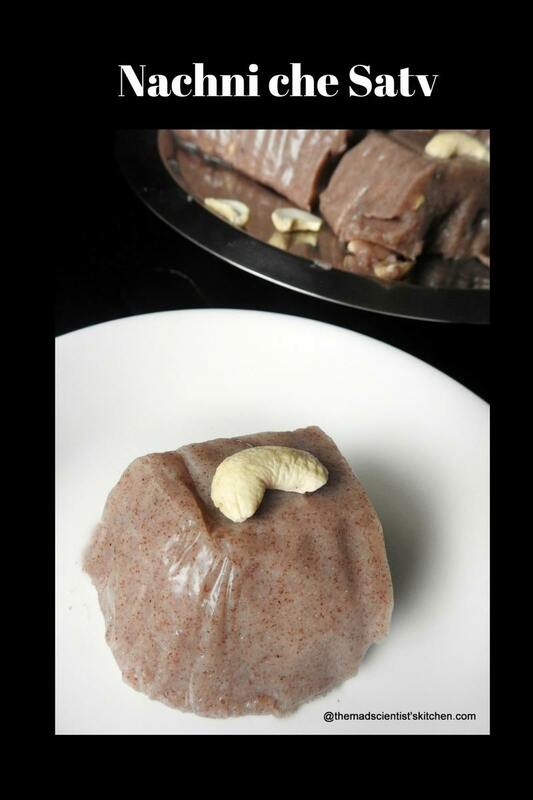 Ragi is rich in calcium and fibre, helps battle anaemia, strengthens the bone, helps lactation. This makes it an ideal food for babies and postpartum diet. Include ragi in your diet for it is a great way to get calcium and iron for postoperative recovery. In case of women going through menopause and after their hysterectomy ragi is highly recommended. Ragi and Aliv are great healers. 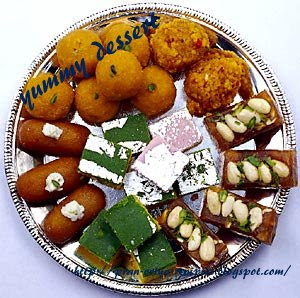 Any celebration in Goa, traditional food is served I mean alsande cho tonak, chana cho raas, sasav or udmethi, Karam, xauti and biya bhaji the sweet maybe either mangane, caramel pudding , Serra dura and of course “Nachni-che-satv”. Over a period, I have come to like this delicious pudding Nachni-che-satv a lot it is tasty and very filling. One helping of this pudding at around 11 am and I did not want to eat lunch. I knew of only ragi muddi that Amma made it is now that I know of so many different foods that nachani can be used in like biscuits, cakes. These days every day I am consuming ragi malt or Tizaan/teezan, which is nothing but strained ragi, cooked in water then you add milk, add sweeteners of your choice. Strangely, I am enjoying ragi malt with jaggery. Traditionally, you soak ragi in water overnight. Grinding was done on the grinding stone and strained through the “banshire”, a fine cloth that is used to drain rice once it is cooked. I use the flour yes the ragi flour. Yes, the store brought atta. If you want it as a Vegan recipe then do not grease the tray with ghee use oil or a non-stick baking sheet. Soak the ragi or nachni flour in water (about 2-3 cups) for about 1 hour. The skin of the ragi will float on top. Decant it. Now add some more water (about 2 cups), stir it and let it stand overnight. Next day decant it. Add some water and let it stand for say another hour. You can strain mixture through a fine muslin cloth. Discard the black skin. I do not bother I have long decided that the flecks which I the skin of ragi is much need fibre in my diet. I just discard the top water and use the thick sediment to make my satv. Measure the strained ragi. Mine was about a cup. Add the strained ragi in a thick bottomed vessel and keep aside. Grease a small tray with ghee. I used the disposable aluminium tray. Since the coconut I was using was bit I used 2 measures of water to grind the coconut. Strain the ground coconut through a sieve and collect the liquid. Squeeze out the coconut with your hand to more of the liquid. This is coconut milk. Add the coconut milk to the strained ragi add jaggery, salt. Cook the contents on low flame stirring continuously. Once the jaggery melts taste the contents and add more jaggery if you need. Stir(generally I prefer the perforated spoon to do this) when it starts coming together add the cardamom, cashew nuts. transfer to the greased tray. The contents spread in the tray without any help. In fact I feel I have under cooked it. Do not worry. Let the contents cool completely before you cut them into squares or diamonds. Please feel free to increase/reduce the amount of coconut milk used you will get a thinner/thicker milk and the contents will be less/richer. You can also use the tertapack of coconut milk. I used 2 packs. You can also make the satv soaking and grinding the nachni. My younger daughter, as a baby used to drink this as her last feed. I used to always add cooked carrots, mango, pumpkin puree or if she had a cold turmeric. Sending this to Raksha’s Desserts with Coconuts organised by Raven. Raksha has posted the more traditional way of making this satv. Do check her out. This is one of my fav to feed my kids. They love it. Loved the idea of adding veggies and fruits puree. 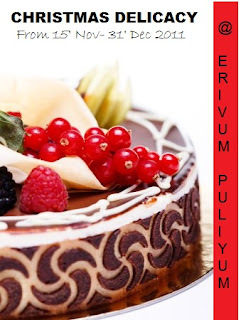 Delicious pudding.Happy Holidays and Seasons Greetings. Such a wholesome and delicious dessert. Looks fantastic. Hey Archana, thanks so much for participating in Jingle All The Way. I’ve posted the Roundup here. Do have a look. 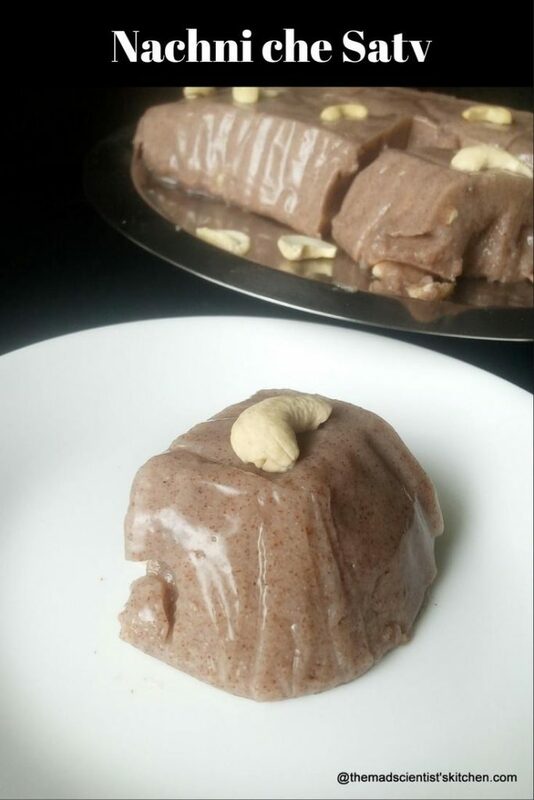 Wow, a pudding with ragi sounds very interesting and very delicious. Wow looks superb. Such a healthy and delicious share..
Lovely share. These are very less Goan delicacy of sweet I have come across. They have more of seafood. ???? Such a healthy option Archana. Love that shiny look it has. This is a healthy and tasty pudding. Adding of jaggery is also good. Nice share. Looks delicious arch and definitely healthy! It must be super healthy. I have not heard of this Goan delicacy before, I love to use ragi flour in my cooking so this dish right up my street. 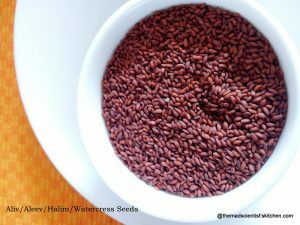 I am recently started using ragi in my kitchen. The pudding looks so amazing.